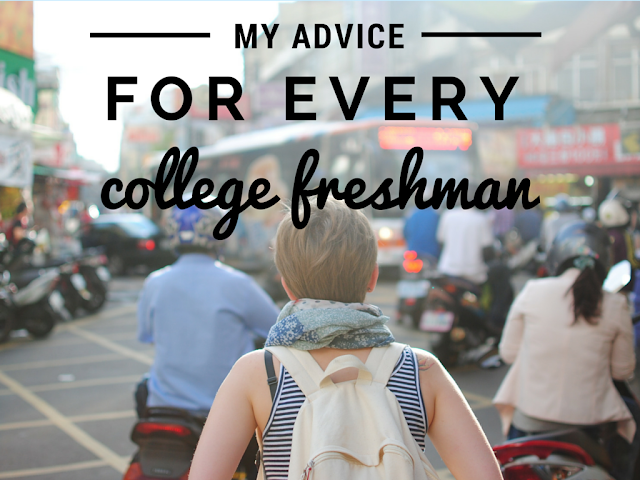 I recently read an article that appeared on my Facebook feed titled The Best Advice Any College Freshman Will Ever Get. It's cute and funny and the kind of advice that makes college sophomores nod their heads and the incoming freshman giggle. While reading these articles, I was disappointed that the best advice I would give wasn't normally included. And now that I have been out of college longer than I was actually in college (but not too long that I don't understand the Drake reference above), I can look back at those years with an outsiders perspective and wish I had done a few things differently or known some of this before my senior year. EVERY STUDENT SHOULD STUDY ABROAD. I can't emphasize it more. Don't believe me? Even the New York Times thinks so! But really, why wouldn't you want to take the opportunity to explore the world while staying on track and gaining credits toward your degree? You're most likely not going to get an opportunity like this again in life! Believe me, it's hard to find a steady career that ships you off to another country for six months so you can gain more experience. So, don't wait until after college. Go now. There are opportunities for a week or a year. Do your research early, talk to the advisers and pick something that works for you. 2. Can't afford to study abroad? You probably can. Studying abroad may sound expensive at first. You can barely afford your semester at your home university, how could you possibly afford this trip abroad? First, don't think like that. If going abroad is important to you, you can make it happen. For a semester or year abroad, your financial aid is processed by your home school, making you potentially eligible for grants, state aid and federal loans. The U.S. Government actually wants you to study abroad, so getting help may coming easier than you imagined. Research your options, talk with the study abroad advisers AND the financial aid office. Many programs can be close to the cost of your current tuition and living expenses. And remember: scholarships. Ask for scholarship information from the financial aid office, study abroad office, civic and religious organizations, campus clubs, your parents' offices, hometown nonprofits and national organizations like NAFSA. You may not get all of the money you need from one source, but if you put in the effort, you might be able to collect a sufficient amount from a few different places. Jordan blogs about travel and food at The Hungry Traveler. Follow her foodie adventures on Instagram! 3. Go on an Alternative Spring Break. Most American universities offer volunteer trips during Spring Break as an alternative to the stereotypical party week. The truth is, the kids that party all week return to campus with sunburns, hangovers and a lot of regret. I'm not saying don't do it, just consider your options. You have four years of spring breaks. Heck... maybe five or six! Alternative Spring Breaks give you the opportunity to visit somewhere new (international or domestic) and help those in need. 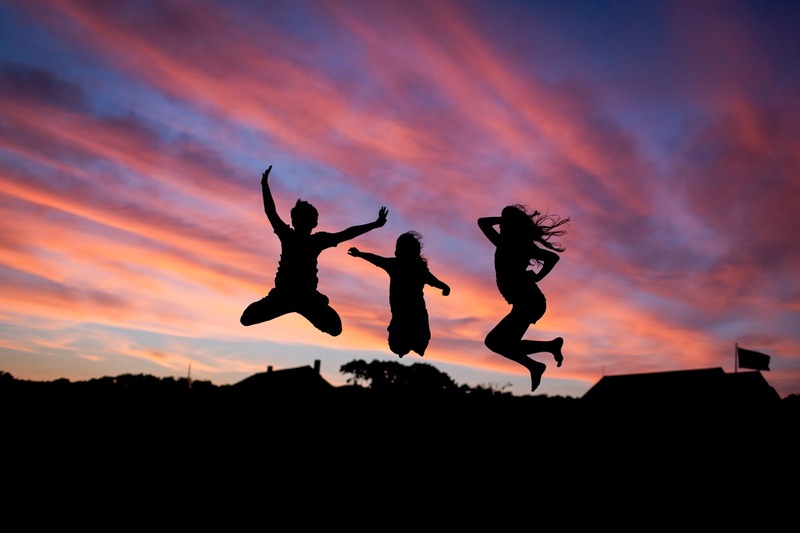 You'll meet a group of students you may not have normally hung out with and you'll work together to solve problems and finish projects. And better yet, you'll actually get to know each other because you'll be more than just beer pong partners in the hotel room. Worried about the cost of these trips? Look into your university's requirements for leading one. Leaders commonly get to go for free! So you can't always be travelling. I mean, you do want to spend some time on that beautiful campus, go to football/basketball/quidditch (whatever you're into!) games, attend the best social events and sleep until noon on a Tuesday. Oh yeah, and you have to go to class. So while you're there, why not befriend some of the students from across the world who are studying abroad at your university? Hopefully, you will be in the same boat they are one day. Unfortunately, study abroad students tend to band together and struggle to meet the full time students. Make an attempt to meet some international students. Show them around campus, bring them to a party and help them to feel welcome at your university. You'll get to learn about a new culture and maybe meet a good friend to visit during your Eurotrip after graduation. Most likely your new college friends will be from all across your home state or neighboring states to your university. Pick a weekend to go home with one of them. Have them show you around their town, enjoy some home cooking and explore somewhere new. Then, bring a friend back with you and use the opportunity to play tourist in your hometown. 6. Use your abundance of time off to travel. I look back on my Winter Break as a college student with much fondness: A full month off placed smack dab in the middle of the school year, in-between semesters without a single assignment hanging over your head. Oh, the good ol' days. In college you'll have many of these opportunities: Winter Break, Fall Break, Spring Break, Summer Break and whatever other random holidays they'll give you. Use them to their fullest! Once you enter the working world, you will not get this many vacation days. Unless you're a teacher, but believe me (I've been there), they won't be this long or stress-free. If you work hard during the school year, use your time off to treat yourself to a trip. Make it a big backpacking trip across Southeast Asia or a little road trip to visit some friends. Take advantage of this time off school! Don't want to plan it or have no one to go with? I'm sure your school offers many trips during each of these breaks. Check in with the study abroad office, volunteer/service learning programs and the outdoor education office to see what they offer. View more photos from Bethany's summer abroad on Instagram. I never thought I would be able to speak another language. My high school memories of Spanish class include boring workbooks and barely passing test grades. I just didn't care. Well, fast forward to my senior year of college and I was planning to spend a year after graduation in Ecuador. And after that, I spent a year in Spain. Granted, my Spanish is good now, but I'm kicking myself for not taking Intro to Spanish as one of my free electives in college. It would have made my first few months in Ecuador go much smoother. If you're slightly interested in international travel (which you should be), pick a language and take a class to learn a little. You never know when you'll need it. 8. Work or intern abroad. So you want to make money and/or gain experience during your college years? Good for you! Why not add a little adventure into the mix? 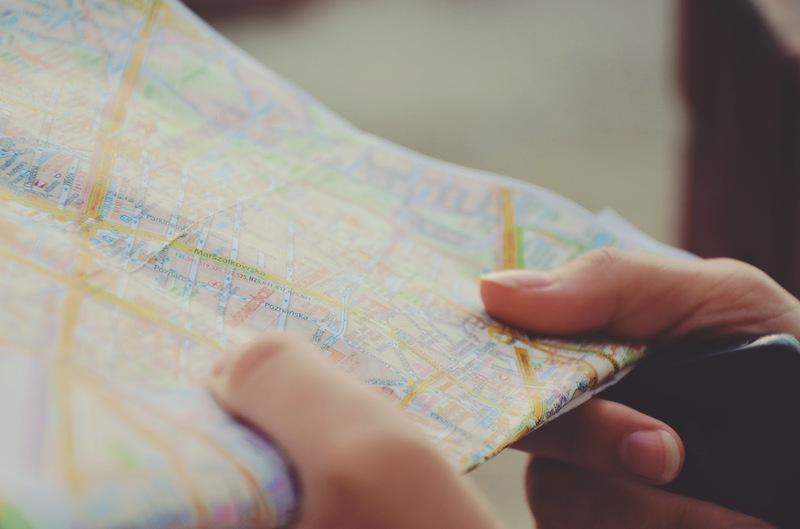 When looking for jobs and internships, don't be afraid to browse your options far from home. If there is a particular city or country you'd like to work in after college, try to find a job or internship there so you can do some networking. While not all internships pay, many offer stipends to help you get by during that time. Or maybe you ignored my advice in #1 (Shame on you!) and dropped the ball on studying abroad. Make up for it by finding an internship or a job overseas! Browse through some of the popular American programs (1, 2, 3) to get an idea of the opportunities available. 9. Take a gap year. Was all of the above a little too overwhelming for you? If you're feeling hesitant about entering college and not knowing what you want to do with you're life, consider postponing your freshman year. There is no shame in taking a break between high school and college. This can actually be a great thing to put on your application or write about for an admissions essay. Gap years can be working or traveling. Or both! They don't have to last a full year. Maybe you want to work for several months to save money, then travel around South American before starting school in the fall. Great! There are no rules! Do what works for you. Read more from Alissa at Alissaisms.com. Follow her daily adventures from San Francisco and more on Instagram. Did I miss anything? Do you agree with this advice? I wish someone had given me this advice so many years ago. I'm trying to make up for lost time now! Can only agree with a lot of those! While the situation is different in college in France a few of those points still apply for us. I'm so glad I decided to focus on languages when I was younger and that I pushed myself to get an internship in Japan... that got me the push I needed to keep on going and helped me find what I wanted in life. This is a really great article and I 100% agree with everything. Coming from a European country - Slovakia, I was lucky enough to have free education, and after graduating high school, Ive decided to to study foreign languages (Polish and Chinese) in a neighboring country (Czech Republic). And this gave me opportunities to study later in Poland and China where I just finished my masters. Traveling, studying abroad, meeting new people and cultures and speaking many languages taught me so much and made me a better person! I feel like this is quite common in Europe, since the countries are very close together and we have many opportunities to study abroad, however people are still very hesitant, even though most of the time its all free and you even get stipend. Fantastic advice! I lived abroad and I can't say enough about how much it changed me. If you can't live abroad, like you said, take an alternate spring break. Great post! Awesome advice! Totally agree with everything you listed! Great idea about visiting your friends hometowns! I love that one--makes for a good way to explore a new area from a local's perspective!